FB 085-G8P/60 / Auto Beauty Dish Colapsible con Grilla / Octogonal 60cms. FB 165-G16P/60 / Auto Beauty Dish Colapsible con Grilla / Hexadecágono 60cms. FB 085-G8P/80 / Auto Beauty Dish Colapsible con Grilla / Octogonal 80cms. FB 165-G16P/80 / Auto Beauty Dish Colapsible con Grilla / Hexadecágono 80cms. 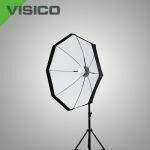 FB 085-G8P/100 / Auto Beauty Dish Colapsible con Grilla / Octogonal 100cms. FB 165-G16P/100 / Auto Beauty Dish Colapsible con Grilla / Hexadecágono 100cms. FB 085-G8P/120 / Auto Beauty Dish Colapsible con Grilla / Octogonal 120cms. FB 165-G16P/120 / Auto Beauty Dish Colapsible con Grilla / Hexadecágono 120cms.